We use bhindi ( which is the Hindi word for lady's fingers/okra) in several dishes at home. 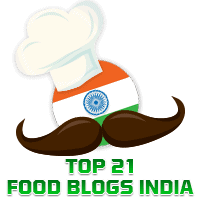 For example, elsewhere in this blog you will find recipes for Bharwan Bhindi, Okra & Peanut Stir Fry, and Crispy Bhindi Tawa Fried. I have adapted this recipe from Bhindi Masala Gravy in FoodViva.com. We had this with rotis and enjoyed the dish. It is important that you use fresh curds or curds that are not sour in making this dish. Likewise, please choose tender bhindi to make a better dish. Wash the bhindi, pat them dry on a clean kitchen towel. Snip off the heads and tails of the bhindis and cut them into 1 and 1/2 " long pieces. In a grinder, make a coarse paste of the green chilli, ginger, and garlic. Keep aside. Heat 1 and 1/2 tbsp of oil in a thick bottomed kadhai. When it gets heated, add the bhindi pieces and sprinkle salt on them. Shallow fry the bhindis on medium flame for 6-8 minutes till they shrink in size and become dark green in colour. Transfer to a plate and keep aside. Heat the remaining 1 and 1/2 tbsp of oil and when it gets hot, add the fennel seeds. When they crackle, add the finely chopped onion and saute till it becomes light brown. Serve hot with rice, naan or rotis.